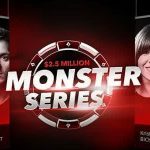 PokerStars are currently running a photographic competition to help celebrate the first anniversary of their Women’s Sunday tournament, with the top 10 images winning $55 tickets to the weekly event and the overall champion being handed a $215 ticket to the superb Sunday Million. 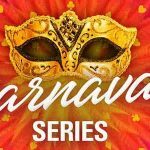 The PokerStars Women competition – which runs until midnight ET (Eastern Time Zone) on Sunday, March 18 – is seeking the best photos that encapsulate the event, with winners being selected by one of the Team PokerStars Pros. As we all know, PokerStars enjoy celebrating all major landmarks at the world’s biggest poker room. 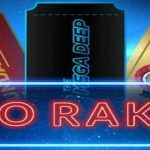 It’s easy to recall how many times they have celebrated a billionth hand at the site, as well as the prolonged festivities that surrounded PokerStars’ 10th anniversary last year. 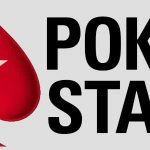 Now, with this latest milestone approaching, PokerStars Women is gearing up for yet another party at the site with plenty of freerolls and prizes, as well as the opportunity to interact with the female members of Team PokerStars Pro. All you have to do is enter their Female Flickr Photo competition by submitting photographs at the poker room’s account with the image and video hosting website for the chance to win prizes. Now, in case you have no idea what type of photo the poker room is looking for, just remember that the Women’s Sunday is turning one-year-old, so they will be hoping to see pictures of you celebrating. This could see you in full flow while dancing a jig of joy, showing you love of poker or even sporting a party hat. Really, though, it is up to you – and it is almost certain that the more unusual photograph the better when it comes to judging the 10 best entries. You must be 18 or older and, while males can send in their own photos to celebrate the anniversary, only pictures from females will be considered for entry into the competition, with gender being verified via screen names. Join the ‘PokerStars Women’ group on Flickr here. Upload a photo to your own Flickr account. Title the photo ‘PokerStars Women’s Sunday Birthday’ with your PokerStars screen name, and include the ‘PokerStars’ tag. Go to the photograph and click the ‘Actions’ tab above it. Select ‘add to group’ and choose ‘PokerStars Women’. 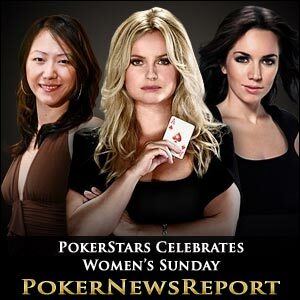 It should be noted that this competition is just the first of several planned by PokerStars to help celebrate the birthday of the Women’s Sunday, so make sure to bookmark Poker News Report for more information on the top prizes that will become available over the coming days and weeks.